INTERESTED IN JOINING THE NAV ALLIANCE? March 21, 2019 – Molex has joined the Networking for Autonomous Vehicles (NAV) Alliance to collaborate with other industry leaders in the development and adoption of next-generation multi-gig Ethernet automotive networking. 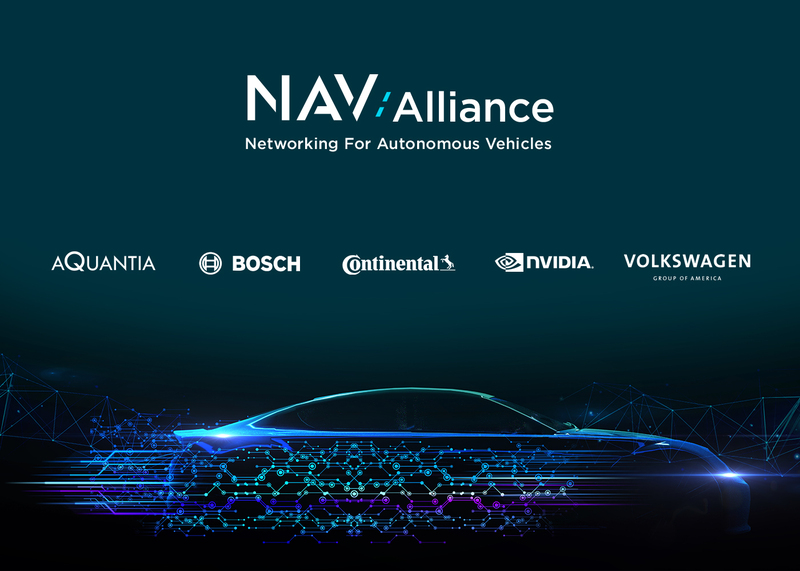 Founded by Aquantia, Bosch, Continental, NVIDIA, and the Volkswagen Group of America, the NAV Alliance is dedicated to defining procedures and specifications to ensure the interoperability, security and reliability of the network architecture for autonomous vehicles. “Molex is pleased to join the NAV Alliance and work closely with our industry peers who share our commitment to shaping the future of driving by creating in-vehicle network infrastructures for automotive OEMs and Tier One manufacturers developing the next-generation of connected vehicles,” stated Mike Gardner, director of advanced technology market development, Molex. As a supplier of high-speed Ethernet networking solutions, including gateways, switches, connectors and cable assemblies, Molex developed an award-winning platform to provide automotive OEMs with a complete connectivity ecosystem delivering seamless multi-zone vehicle integration across multiple hardware and software systems, with the flexibility to incorporate legacy automotive protocols and scalability for future upgrades. Molex can quickly and cost-effectively qualify, design and implement end-to-end automotive Ethernet platforms operating at best-in-class data speeds—and utilizing sophisticated multi-layered security approaches with powerful encryption, certification technology and enhanced hypervisor capabilities.